Big fan of MasterChef? Good news! Last year's winner, Diana Chan, and 2015 contestant Reynold Poernomo are dishing up satay and sorbet in Melbourne for the next few months. They're both tenants at HWKR, a hawker market-inspired rotating restaurant concept on the ground floor of A'Beckett Street's residential Eq. Tower. Four permanent kitchens on site mean space for four residencies during each three-month rotation. By May, the current lot will pack down and be replaced by four new vendors. It's a chance for aspiring – or even established – restaurateurs to test the waters. 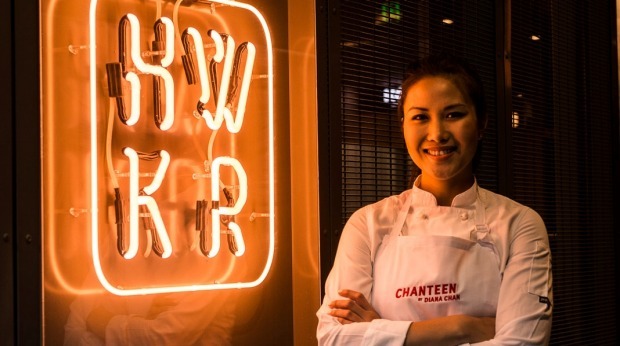 Chan is using the opportunity to introduce the public to her new venture, Chanteen, serving family and traditional Singaporean and Malaysian dishes cooked over Murrumbidgee coals. 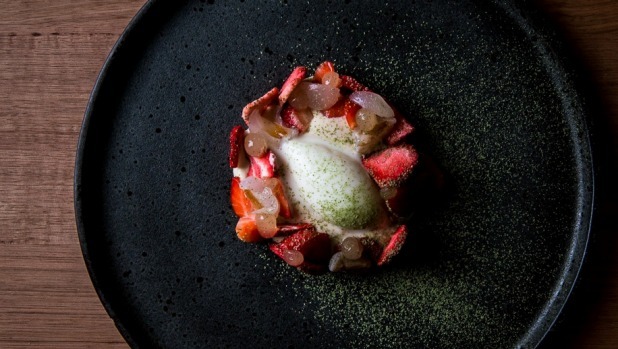 Poernomo's giving his successful Sydney-based KOI Dessert Bar a trial down south. The third vendor in the current rotation, Bread & Beast, is here from Hong Kong, slinging sandwiches stuffed with the likes of Hainanese chicken, spring onion and ginger mayo and pickled cucumber. 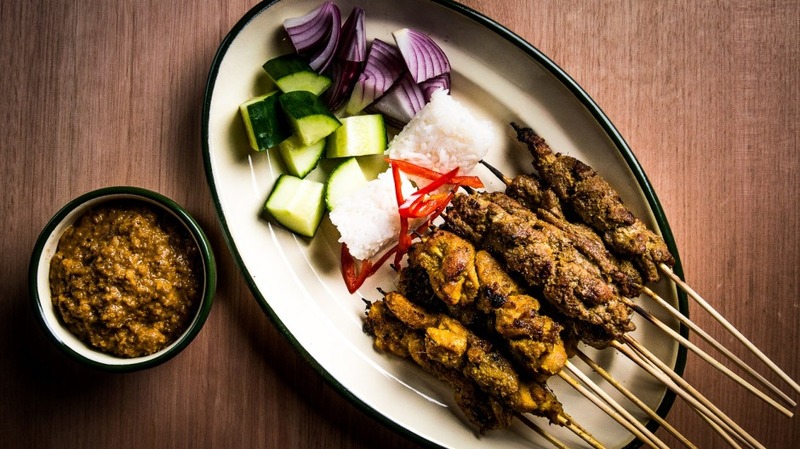 And the fourth, Melbourne-based Rice Paper Scissors, is testing its own new concept, Khao, serving rice-based dishes. The fitout, by Craig Tan Architects and designers from BrandWorks (who worked on the HWKR concept with the building's developers, ICD Property), is more polished than any hawker market you'd find in Singapore or Malaysia. There is a resemblance, though – particularly in how the vendors are laid out side-by-side – and in the "chopes", packets of tissues used to reserve tables in busy hawker centres overseas. At HWKR, they're used as napkins. The second round of residencies is yet to be revealed, but the MAI Foundation-run cafe-bar Manymore will be a permanent fixture, slinging toasties, pastries and coffee from social enterprise STREAT by day, and Asian-inspired cocktails by night. Open Sun-Tue 11am-11pm; Wed-Sat 11am-1am.